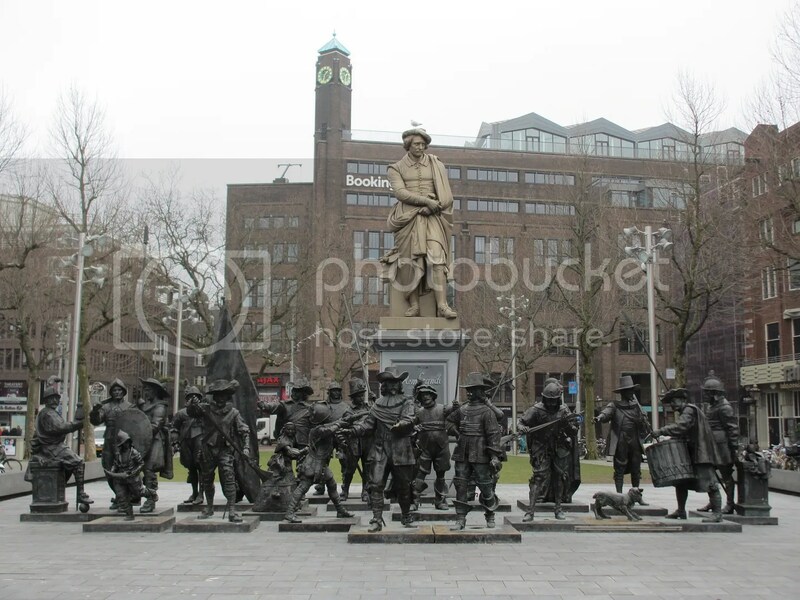 In Rembrandtplein beneath a statue of the artist himself there is a bronze-cast of his most famous painting; The Night Watch. It was created in 2006 as part of the celebration of the artist’s 400th birthday. This bronze-cast representation of the famous painting was on display for three-years before traveling to New York City, Moscow and Oranienbaum, Russia. In 2012, the bronze Nightwatch sculptures returned to the redesigned square where they serve as a magnet for visitors. In January 2013, the Rembrandtplein Entrepreneurs Foundation began a fundraiser to keep the sculptures in the square throughout the year.